Karbonn - this is one of the leading brands of mobile phones in the world and has a revolutionary breakthrough in the brand phones, challenging the well-known competitors. 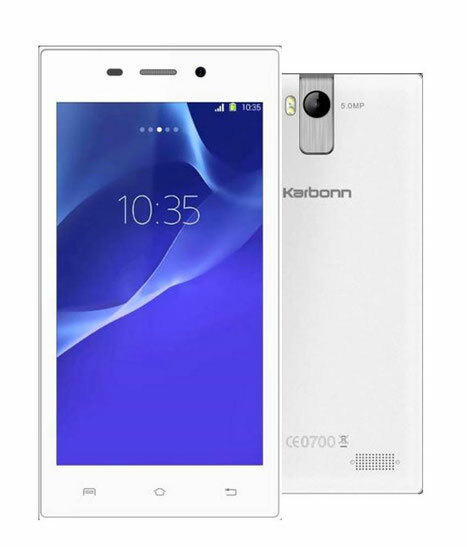 Karbonn is a joint venture between Jaina Group (UK) and UTL Group (India-China). Jaina Group started as a distributor of mobile devices about 15 years ago and it now has its own brand KARBONN market. UTL Group, multi division telecom group, is one of the leading Asian telecom power company with interests which are divided into manufacturing and services. For the introduction of new developments aimed at customer satisfaction, these two Asian telecommunications companies merged in March 1999 and launched in KARBONN proposal, first in Asia and later in the whole world. Understanding customer requirements and offering the best in class products at a great price and quality, Karbonn has taken a worthy place among the top 5 mobile phone manufacturers in the category of smartphones, according to IDC statistics. On the other hand, Karbonn, also was recognized as the second fastest growing mobile brand in Asia, according to a recent study conducted in 2012. 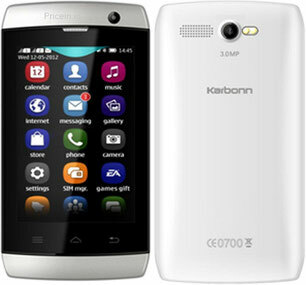 KARBONN constantly keeps pace with the latest advances and innovative features that meet the market requirements best. Being one step ahead, Karbonn, recently launched its new branding, calling it «Smart KARBONN» for smartphones and tablets. Intending to become a single source to meet all the high-technology needs of advanced consumer, eco-system «Smart KARBONN» will introduce in the course of technological and mechanized developments in the mobile environment. Technology 'Massifying "is the basis for KARBONN; brand has succeeded greatly in terms of the development of mobile eco-system for its customers. Along with faster processors, Karbonn always uses technological advances and development that provides a realistic resolution screen on the devices for their users. Mobile company today boasts one of the fastest and highest levels of models, which launches in Asia. KARBONN focused on how to reach the maximum number of clients. With more than 185,000 points of sale, Karbonn reaches out to be accessible to everyone. The brand achieved sales of more than 40 million. Devices sold in a very short period of time. The main reasons for the success are its convenience and accessibility. KARBONN has over 1800+ service centers around the world, and calculates to reach 5,000 points in 2014-2015. As a symbol of reliability in Asia, Karbonn emphasizes those features of Asian and Eastern cultures, which are world-class quality. Mobile phones herald a new era of connectivity, Karbonn breathes new life into the mobile phone industry.